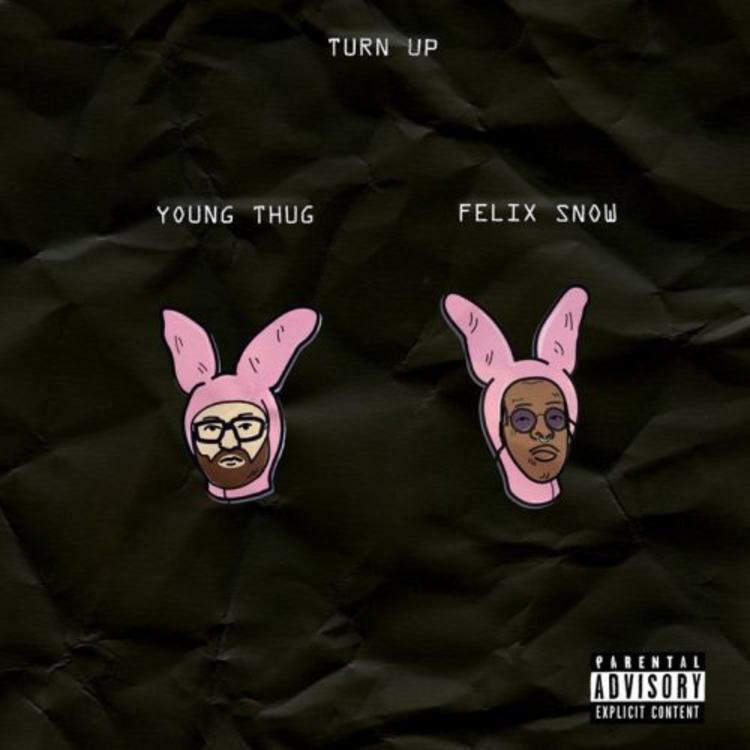 Felix Snow and Young Thug connect on "Turn Up." Los Angeles-based producer has scored recent production credits with SZA and DJ Carnage. Now, he connects with Young Thug for a new track called "Turn Up." "Turn Up" is not exactly the club banger its title would imply. it combines a dolphin synth similar to that of Justin Bieber's "Where Are U Now?" with the deliberate pace of a grime track. Young Thug, fresh off his latest masterpiece Jeffery, offers the sort of of extreme vocal gymnastics he's known for as he, like a pilates instructor, urges the listener to "slip n slide, slip and slip and slip and slide, slide, slide!"